Give your loved ones the thanks they deserve on this special occasion with a personalized thank you speech. Download the speech you like best by clicking on it to customize then print. If you have trouble with the document, check out the helpful Adobe Guide. If you and your family thrive on humor, give a funny graduation thank you speech. This example speech lists off obscure and hilarious ways members of your family have helped you survive high school. 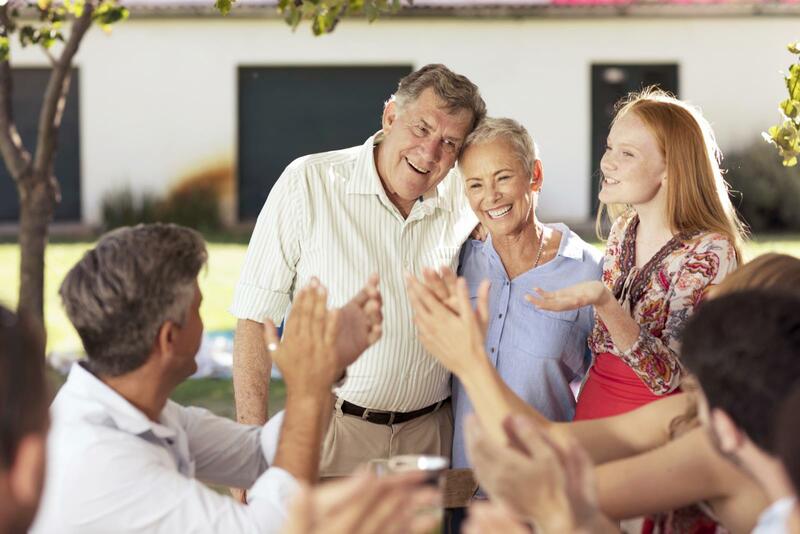 Thanking your parents or family for all their time and love can be best received in the form of a sentimental speech. Since you don't likely get this sappy in everyday life, consider taking the opportunity to open up your emotions. The sample sentimental graduation thank you speech shares all the ways family members have supported you through your high school journey. If you'd like to thank your entire immediate or extended family in one speech, this template is a great option. You'll compare each family member's contributions in your life to similar teachers and administrators at your school. This gives you the chance to quickly acknowledge everyone in the room in a meaningful way. You can use each of these thank you speech samples as it, but they'll mean a lot more if you add in personal details about your life and family. Use the names you call people like Grammy or Nana for grandma. Include short anecdotes as an example of how someone specifically helped you. Change words to make it sound more like how you normally talk. Open with a quote that goes with the speech theme. Once you've chosen and personalized your speech, you need to find the perfect way to deliver it. Take your speech to the next level by incorporating interactive elements that show your effort. Choose one special element to add during your speech to make it extra meaningful. Project a slideshow of family pictures in the background. Walk over to each person and share the section about them to their face. Call up family members to join you on stage or in front of the group as you talk about them. Create a family photo display in front of the speech area. Play a song before or after the speech that echoes your sentiments. Turn your speech into a lasting thank you keepsake by adding the entire speech or quotes from it to customized gifts. Include the speech on your graduation thank you cards as a special message. If you have graduation party favors, look for a way to incorporate the speech like having it printed on tasseled bookmarks. You can also go simple and frame the speech to give as gifts after you read it. Make your graduation even more special by taking the time to tell the important people in your life just how much they've contributed to your successes. Keep it short and sweet or gush on. Either way, your family will appreciate the sentiments.